The originality of their plan, as well as a polished presentation, helped crown The Pingle School the 2017 Premier League Enterprise Challenge winners, according to one judge. Representing Derby County, the Pingle School were one of six teams to have reached this year's Enterprise Challenge final. They were joined at the offices of EY in London by Woodchurch High School (representing Liverpool), Parrs Wood High School (Manchester City), Shotton Hall Academy (Sunderland), Enfield Grammar School (Tottenham Hotspur) and Wapping High School (West Ham United) . All had to come up with fully costed ideas to meet a brief set by Premier League Executive Chairman Richard Scudamore, to increase their club's international fan base and their income streams from the USA. Since starting the competition, the Pingle School have worked on linking Derby County with the NFL team, the Los Angeles Rams, as well as with the University of California, plus a proposal for an eSports challenge. 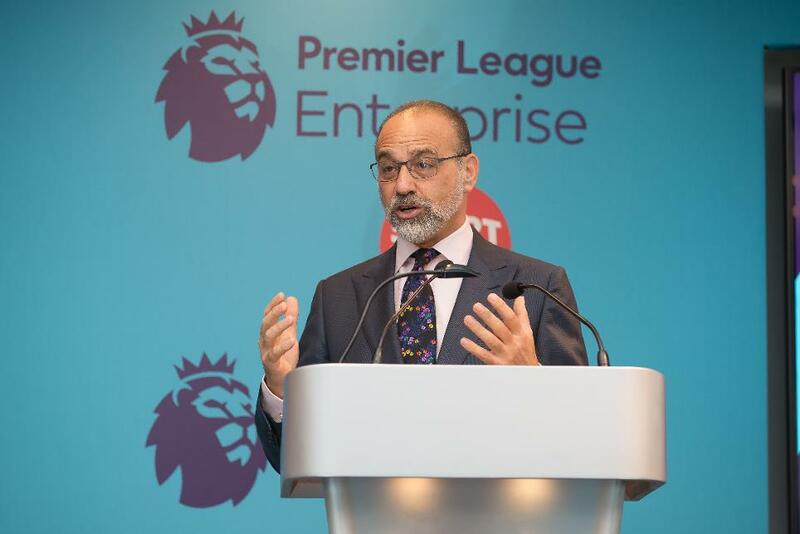 It was a plan that caught the eye of entrepreneur Theo Paphitis, who was judging the PL Enterprise final for a third time. "They gave a great presentation, as did quite a few of the others, but they came out with something that was original," Paphitis said. "They came out with a way of engaging with the social and digital world out there, they came with original ideas and some things that the club wasn't doing already. "They were bringing a new strand to everything and identified their market; they ticked so many of those boxes of having a chance to be successful."